Not just for cars, window tinting has a lot of advantages for your building. At Apex Tinting we specialize in commercial and residential window tinting for buildings large or small. Store fronts, all sorts of offices, and schools. Apex Tinting has years of experience helping building owners and managers with common window problems at their properties. 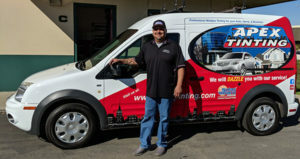 Glare, privacy and energy savings top the benefits of commercial window tinting in Los Alamos. Business buildings tend to have a lot of windows, they allow for natural light and are visually attractive. The drawback is they also let in a lot of unwanted heat, making it uncomfortable for those inside, or increasing the energy bill with the A/C unit having to work overtime. With Apex Tinting window films installed about 70% of solar heat is prevented from getting in! Another big plus is they help reduce glare inside, making it less difficult for workers to see their computer screens. Unwanted glare can cause eye strain and lead to more errors because of the poor visibility. Some offices will install window shades to address these problems, but they are not as beneficial as window film. They block the sunlight but still allow the unwanted heat to enter. Our professionally installed window film stops heat before it enters the building! And unlike blinds or drapes, window tinting will not block the view. Windows are a vulnerable part of most buildings. Adding security film to high-risk areas makes a lot of sense. Thieves prefer not to enter if they can’t see in and don’t know what’s waiting for them. And while we know nothing can keep a determined intruder from breaking a window, if it has Security Film installed it will be more difficult to break and take more time to get through. Every minute is important in these situations, providing valuable time for help to arrive. Apex carries a large variety of window tinting films for safety and security that range in thickness from from 4 mil through 18 mil. We also specialize in anchoring systems that will strengthen and bind our security film window tints. Apex can also install Graffiti Guard, which is similar to Security Film, in its thickness and it is applied to the window exterior. If the window gets tagged or is defaced, the film can be replaced, which is much easier and less costly than having to replace a window or have the glass resurfaced. Most Central Coast Store Fronts have large glass windows. Perfect for showing passers by a glimpse inside, and for letting the light in as well. But those windows also let in a lot of heat, and harmful UV rays which can damage merchandise and harm interior materials like flooring, carpets, drapes, wall paper and furniture. Another concern is glare. Glare is not comfortable for customers or employees. Staff may even have a hard time seeing computer or register screens, causing eye strain and the possibility of more errors. Window tinting will not only reduce that irritating glare, it will decrease the interior temperature. Your business A/C unit will not have to work as hard, which will help you save money on energy bills – and extend the life of your A/C unit. Many schools, medical and dental offices as well as legal and government buildings utilize window tinting for its many benefits. Solar film not only makes a difference in comfort and energy savings, but these type of locations also require the added benefits of security and privacy. That’s where Apex window tinting comes in! Privacy is a main concern in dental & medical offices, schools, and law offices. With sensitive documents to consider and the privacy of patients, students and clients. No one should feel exposed to onlookers, but everyone would also like a view to the outside. Apex’s wide assortment of window films covers these concerns. With frost, opaque, one-way and decorative window tinting choices. Apex will help you determine which one is the best solution for your location! 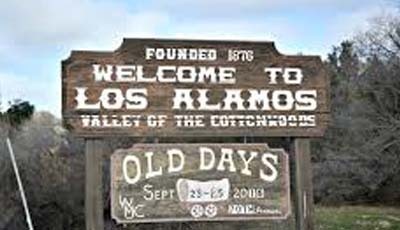 We also offer Home Tinting options for your Los Alamos residence!